Sofia's friend celebrated her birthday so we needed a present. We bought some wool and a crochet hook and decided to make a bag for it. We choose to use this very pretty fabric from MishaLulu, I cut the pieces of fabric and pinned....Sofia sewed. 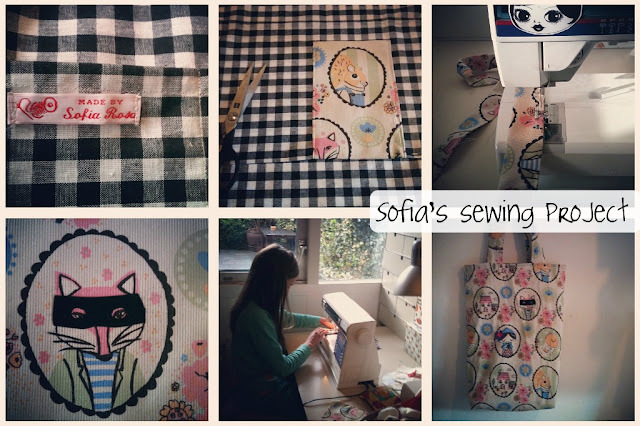 We added a few details like the mask for the fox and sofia's own label, we where very happy and proud withthe end result! Lucky friend! That fabric is just adorable! !